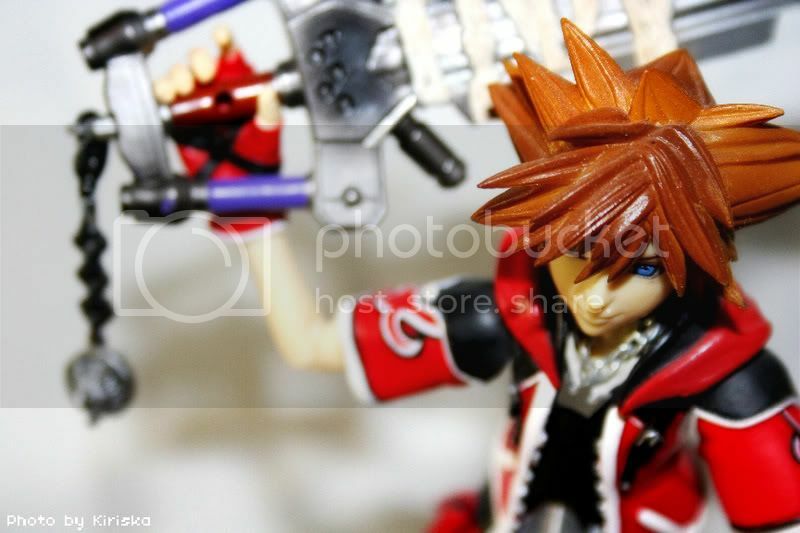 You know, I’m actually kind of surprised at the prevalence of figure collecting across this community. 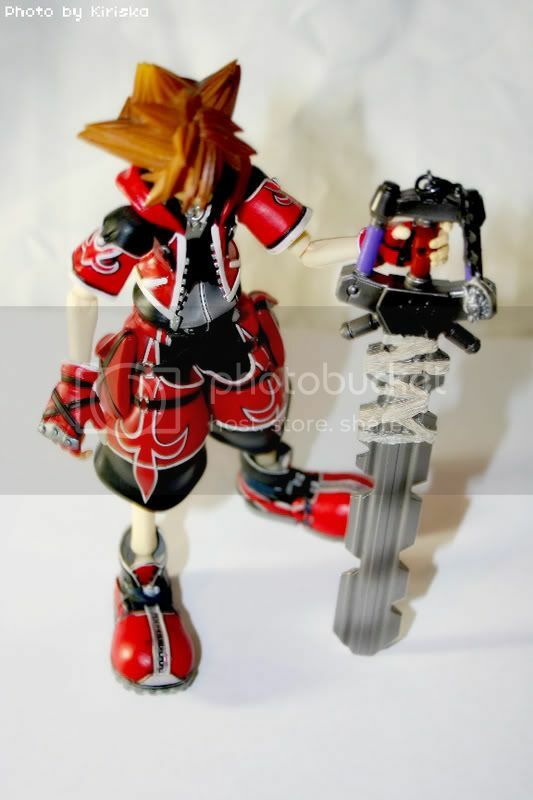 Few people I know in real life do any serious (figure) collecting, and I’m not much of a serious collector either, especially considering my first figure was a gift. 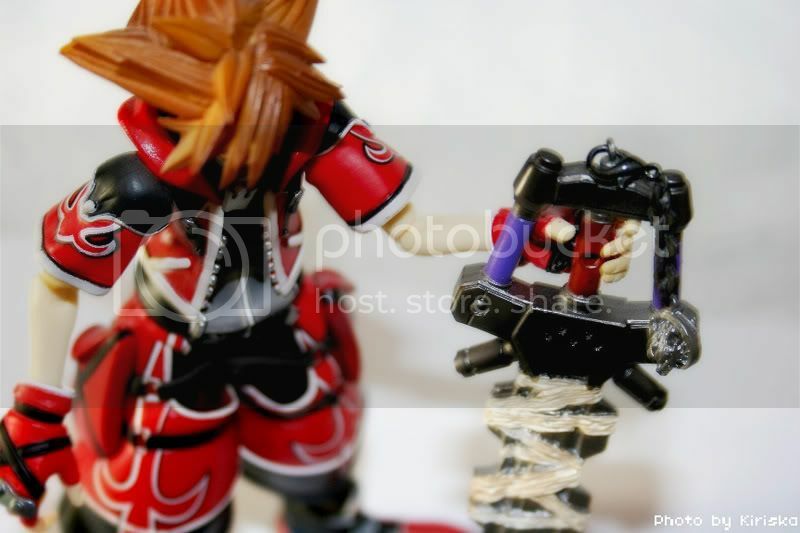 But I do like to consider myself an amateur photographer, so I thought it’d be fun to take some pictures of what figures I do have. The critic in me also wanted to write a review, but I didn’t feel like taking pictures of all the little flaws in my figures, so uh… I dunno. 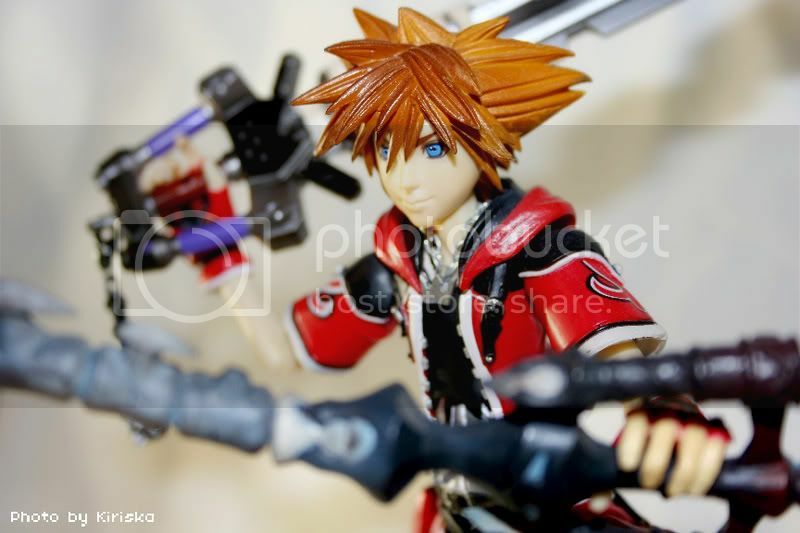 I’ll probably mention them anyway since a lot of the flaws affect how I can pose the figures, but no full-blown, formal review. I guess it’s not that big a deal if his purpose is just to stand and look awesome. 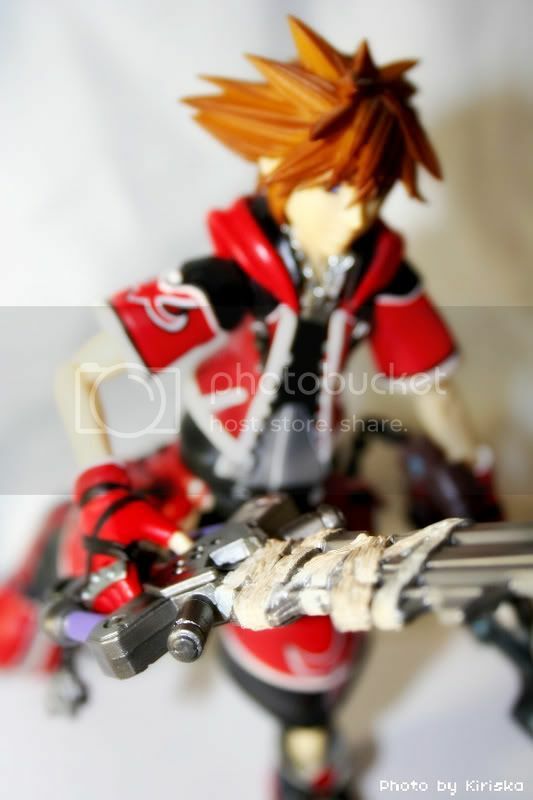 Sorry he’s a bit dusty in these photos by the way; he’s been in storage all December, and I forgot to dust him before the shoot… which takes place on my ghetto desk setup consisting of a too-thin white cloth scrap (from a failed cosplay venture) and a few sheets of paper! 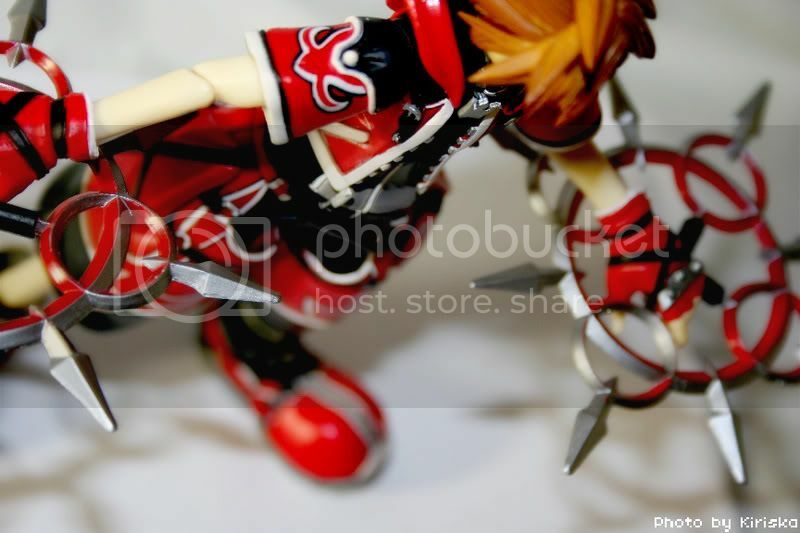 Can you tell that I love playing with depth of field even though I’m not very skilled at it? 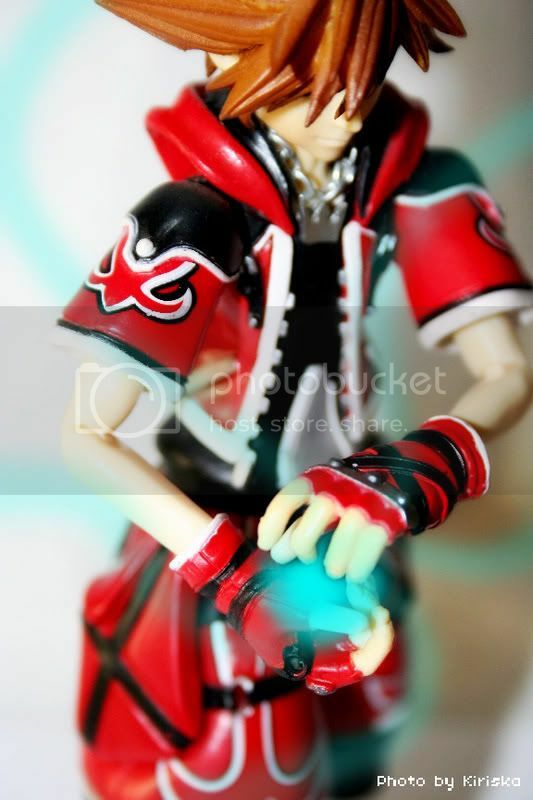 Stole Axel’s chakram, lol~. It matches his costume so well though! :D The angle here makes me happy too. 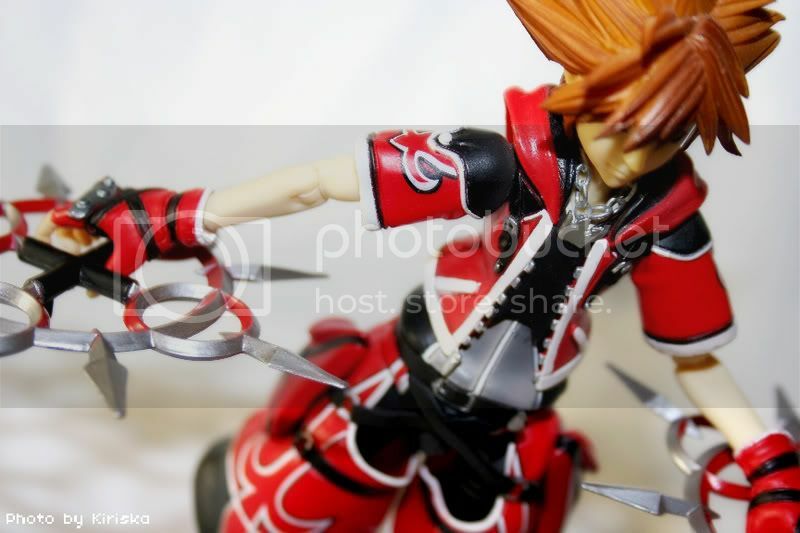 Funny thing: Sora can hold Axel’s chakram just as well as Axel can, if not better. 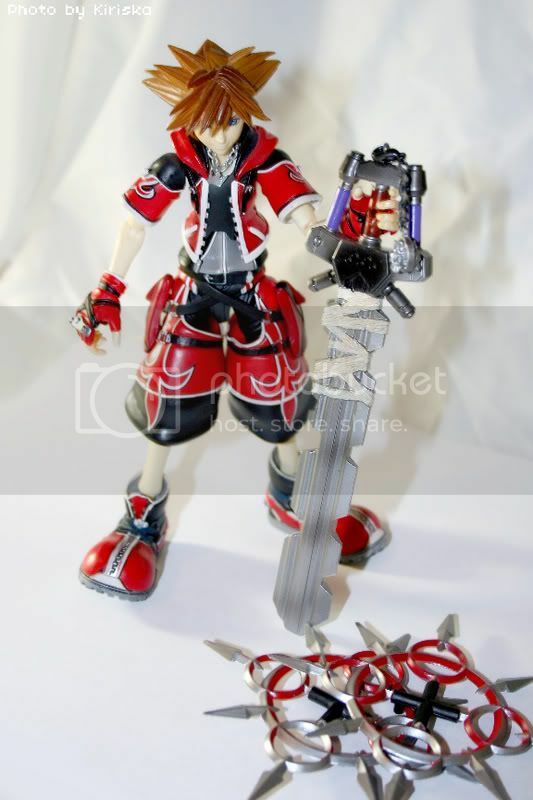 The sad part is that Sora has pegs in his hands that are intended to fit into corresponding holes on his keyblades, but it never works out right somehow because of his fingers. 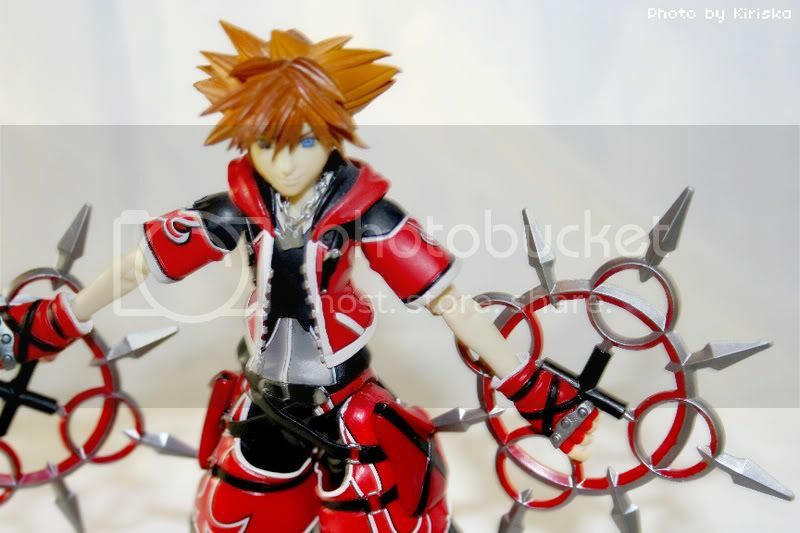 Inversely, Axel has holes in his hands intended to fit with pegs on his chakram, but that never quite works out either. 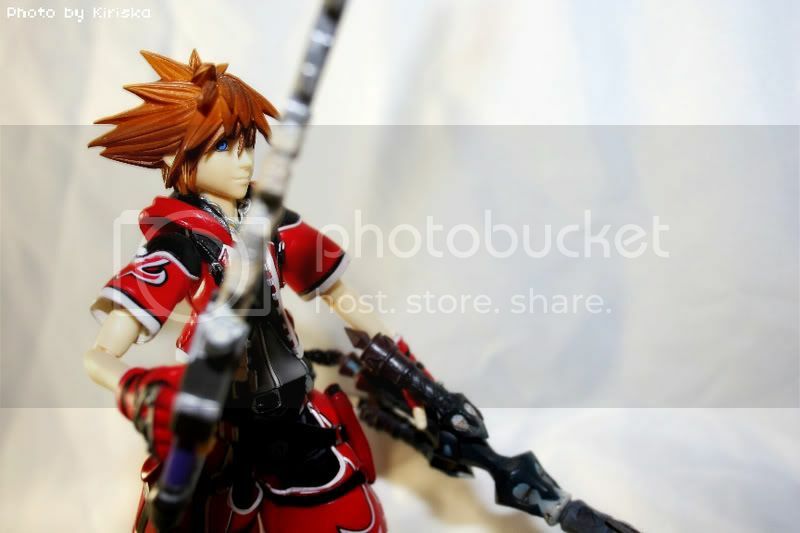 8| I’ll probably dust off Axel sometime this weekend and do a photoshoot of him next. 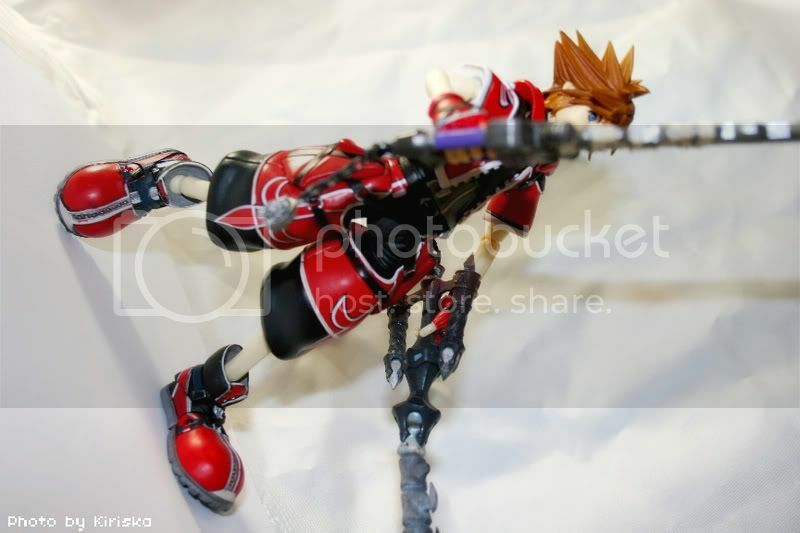 Sora’s legs in this picture is pretty much all he can do with his legs without a lot of pain and anger.